Things you never imagined yourself saying while sitting on a church pew. Sometimes at night I lie in the warmth of my bed and feel my thoughts creep up on me with a tightening grip. We should have given our reminder speech in the car on the way over. We really, like really, need to teach our oldest to tie his shoes. We have so many words to learn before the spelling bee next week. Why didn’t Trenton stick up for his brother yesterday while playing with the neighbors? I need to talk to him about that. I used to let these thoughts pull me further and further down a no-good path to nowhere. (And to be honest, sometimes I still do.) But over the years I’ve slowly become better at setting them aside and trusting in myself as a person and a parent. When the parenting overwhelm and the negative self-talk start to encroach, I repeat some powerful words in my head: our family’s purpose statement. 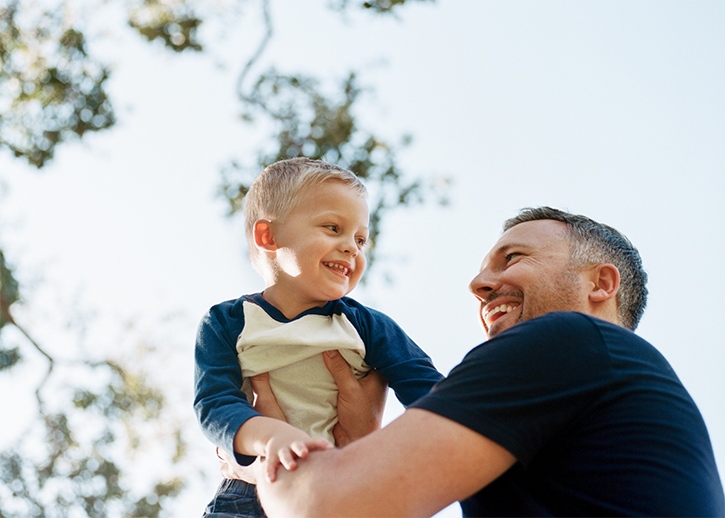 The simple lines that comprise our family purpose statement remind me that I’m giving my kids the childhood, the self-confidence, and the values that I’ve always wanted to give them. I may be terrible at remembering to schedule my kids’ pediatrician visits or teaching them to tie their shoes, but my husband and I are great at doing the few things that deeply matter to us. 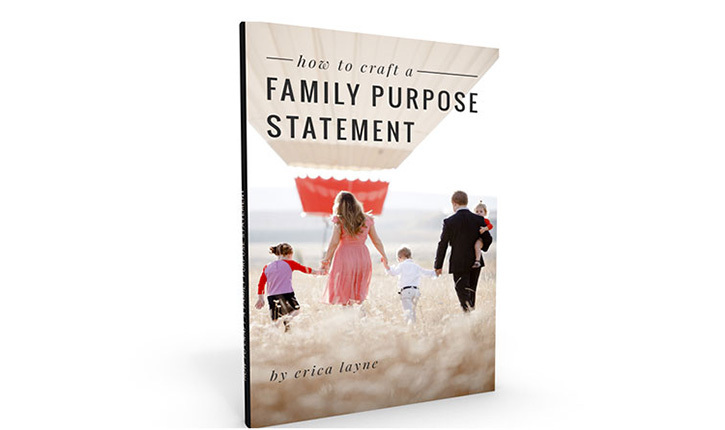 If you too would like a little more peace in your parenting, a little more confidence that despite your shortcomings, you’re on the right track, here are four steps to nail down your family vision this year—in the form of a family purpose statement. 1. Gather your people in an environment that usually produces good conversation for you. Maybe you’ve noticed that conversation flows comfortably for your family while you’re hiking or while you’re gathered around a campfire or when you’re just piled onto the couch with a good dessert in your hands. Wherever it is, talk there. As a family, write down every answer you come up with. 3. Take some time to narrow it down to the values that are core to your family. This is a part of the process that can’t be rushed. Time equals clarity. As you let your ideas ruminate in the back of your mind, I bet you’ll find certain tenants rise to the surface. Those will become your family purpose statement. 4. Let go of the idea of perfection. All that’s left is to memorize your family’s statement and repeat it to yourself at night in bed, when those nagging insecurities creep up on you. 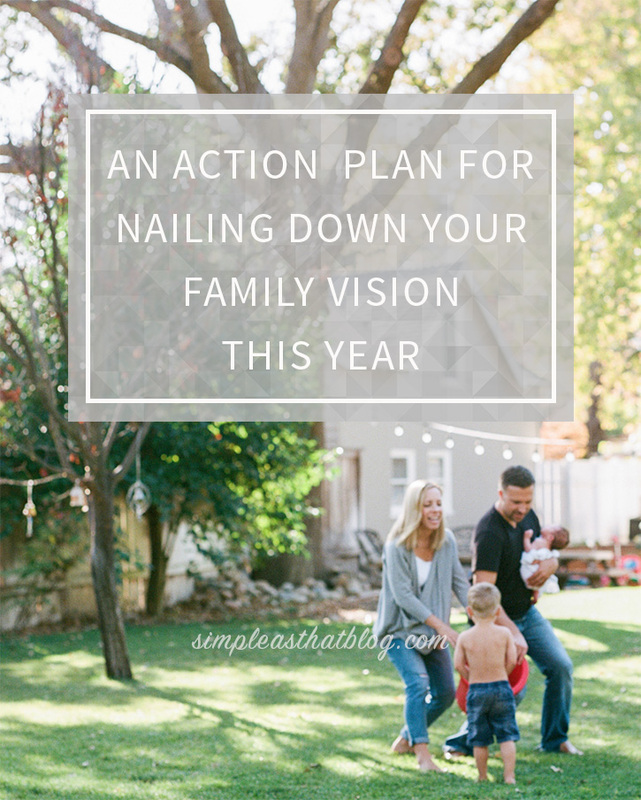 You’ve pinned down what matters to you—your family’s “why”—and you’re doing your best to live it. 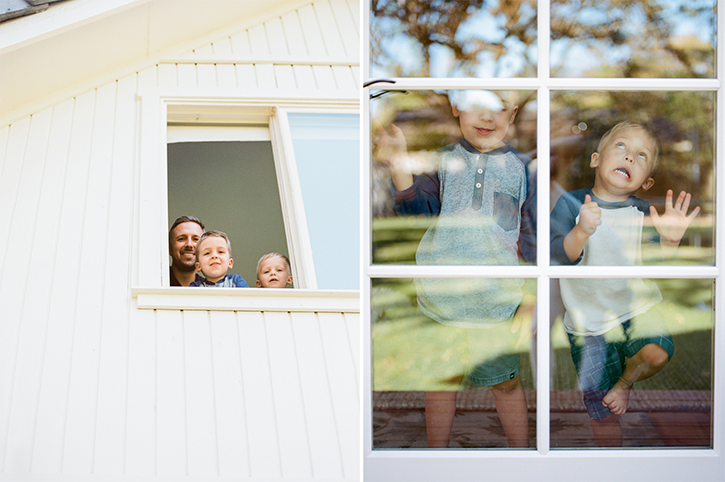 Erica Layne is a sunset chaser and a mom of three living in the San Francisco Bay area. She writes The Life On Purpose Movement, a place for women doing life with intention. 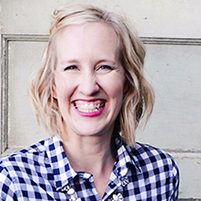 She’s passionate about living fully and filling her family with love and belonging—and helping other women do the same. For regular reminders of the big picture, connect with her on Facebook, Pinterest, or at ericalayne.co. Love it! Thanks for sharing your great ideas!